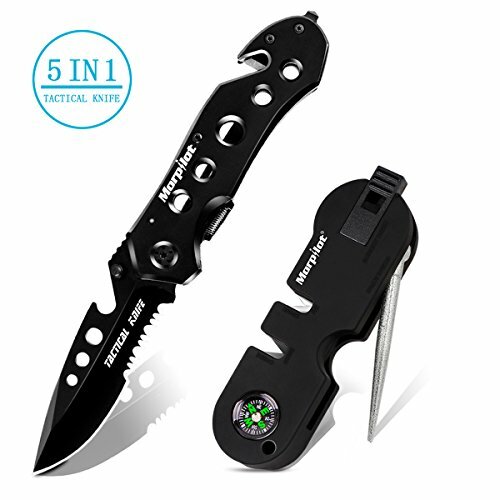 Having a sharp, strong and versatile knife in your hiking, camping or emergency kits is vital. They have many uses, from building shelters to hunting and making food, and even starting a fire. Every outdoorsman needs a solid blade. This knife from Hori Hori may be primarily a garden knife, but this also makes it a brilliant survival, camping and backpacking knife. It is versatile, as you are able to use it as a knife, you can dig with it if need be and the serrated edge can be used to chop and cut wood. The knife is fitted with a curved, high-grade stainless steel blade and full tang through the handle that makes it extra strong. The flat and serrated edges are incredibly sharp, and the and the metal guard will protect your hand completely from any accidental cuts. 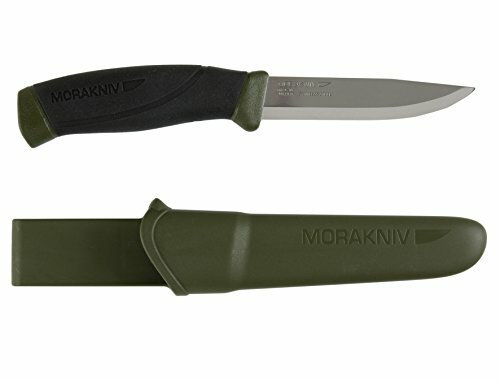 This knife from Morakniv can easily find its way into any backpacker or campers pack. It is made with extremely high-quality Swedish Sandvik stainless steel, which provides excellent blade performance, sharpness, and longevity. The stainless steel blade performs better than a regular carbon steel blade, it will stay sharper for longer and resist corrosion better. The knife is fitted with a high-performance handle that has a friction grip that works just as well in the wet and cold as it does in dry conditions. 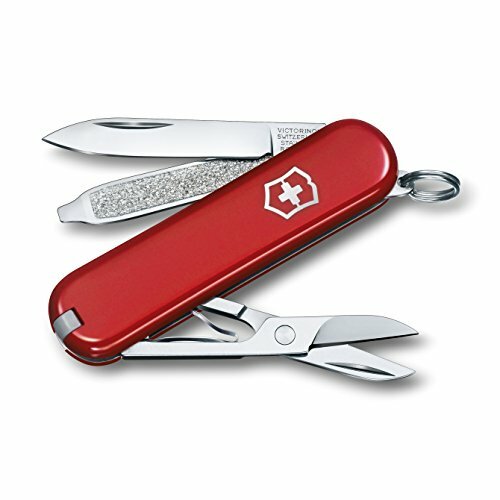 Victorinox is synonymous with high-quality, versatile and extremely well-made pocket knives. Their knives can be used for chores around the house, in the garden, and most importantly, the outdoors. Every adventurer and outdoorsmen have owned or do own a Victorinox blade. 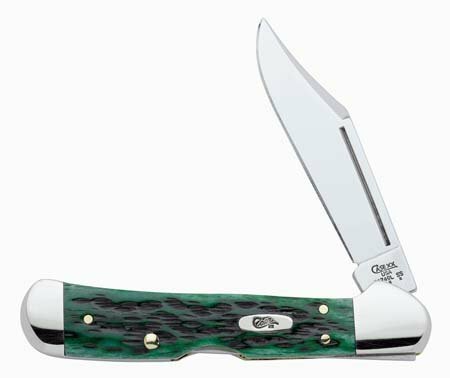 The classic SD pocket knife features the essential tools you will need on a backpacking, hiking or camping trip, all wrapped up in a small pocket-sized case. It has a blade, file, screwdriver, scissors, a key ring, tweezers and a toothpick. 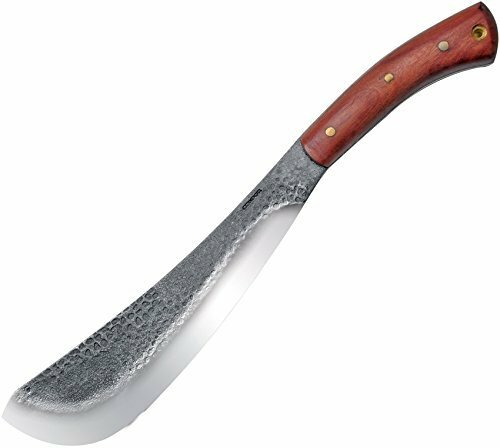 This Golok may not look like a traditional knife to take on a camping or backpacking trip, but that is why it is on our list. The long, sharp and hardened blade is perfect if you are stuck in an emergency situation and you need to chop wood or make a shelter. Bushcraft is also where this knife shines like we mentioned above, you are about to chop and shape wood and other materials to make a fire or shelter. We think, at this price, it is one of the best value for money knives on the market. 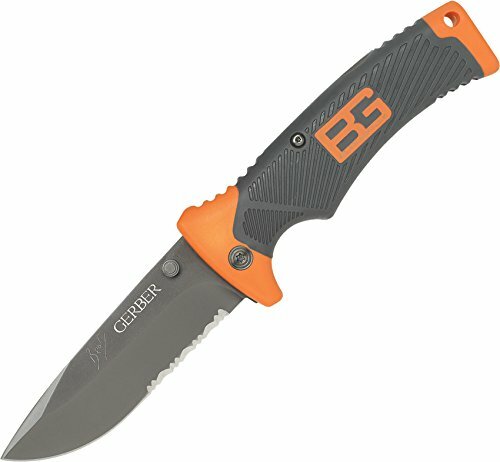 One of the leading blade manufacturers, Gerber, has teamed up with Bear Grylls to bring you the most perfect outdoor and survival knife. The survival guide written by Bear Grylls himself that is included makes the package a brilliant gift and companion for any outdoorsman. 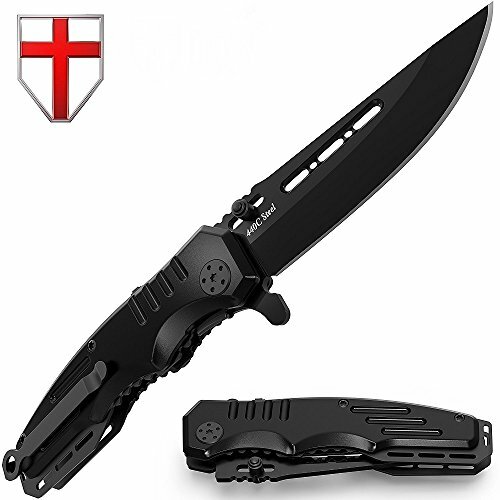 The blade, when folded and out in its sheath, is still incredibly compact and lightweight, and can easily be put on a lanyard to wear around your neck, or attached to your belt. The dual-sided thumb stud allows you to open the blade with one hand. This 5 in 1 knife from Morpilot has everything you may need for a day in the outdoors or a camping and hiking trip. It is fitted with a bottle opener, a glass breaker, a seat belt cutter, a self-defense knife, and a saw. This knife is great for outdoor and survival situations. The Morpilot 5 in 1 knife also comes with a very compact and lightweight knife sharpener. It has a diamond tapered rod, a carbide V-shaped slot, a ceramic V-shaped slot, a whistle and a small compass. 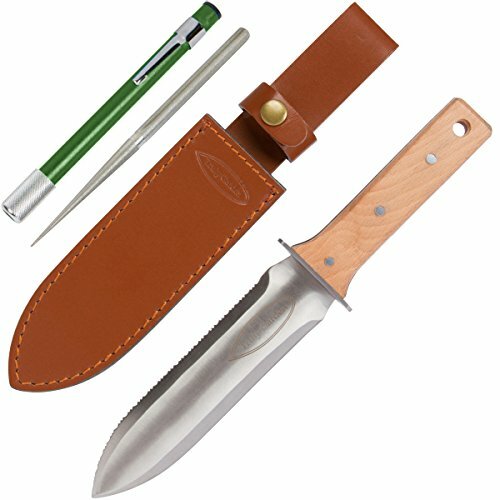 This combo is great for hikers, backpackers, campers, and hunters. This Copperlock knife from Case is one of the better-looking knives on our list, as it is made not only with function in mind but aesthetics as well. The knife is made with a Tru-Sharp surgical steel blade. This knife is fitted with a tumbler locking system that allows you to open the knife with one hand, but then you need two hands to close the knife, ensuring your safety. The clip blade is very versatile and is great for at home projects and projects outdoors. The high-quality knife from Benchmade features a CPM-S30V stainless steel blade that holds a sharp edge incredibly well and resists corrosion. The handle of the knife is glass filled and provides comfort while staying thin, tough and attractive. The knife is fitted with an AXIS lock that is very strong and ambidextrous. This manual knife can be opened and closed using just one hand. 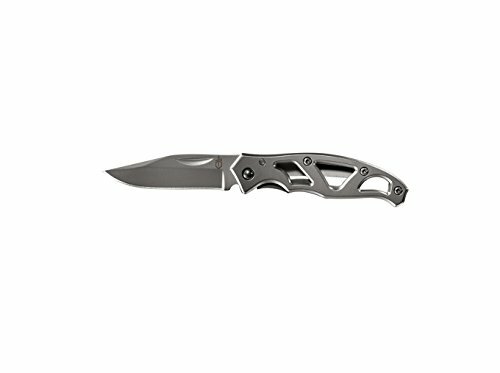 This drop-point utility blade is very functional and versatile and can be used for jobs inside and outside of the home. This folding knife from Grand Way is a military-style knife that has been made for those tough jobs while you are out in the wilderness. 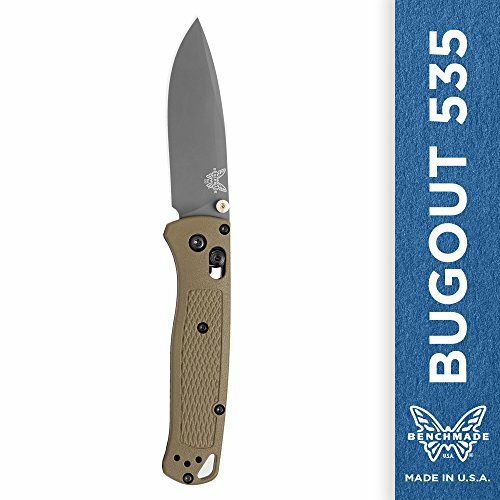 This is the perfect tactical knife for any job, whether it be for a DIY project, hunting, or out on the boat while you fish. The blade of the knife is made of Black Coated 440C Stainless Steel, which offers an excellent balance of hardness and corrosion resistance, which offers proper and superior operation without the need of sharpening. This is another great knife from Gerber, and it is the smallest one in their Paraframe line. The Mini is based on the same frame-lock design, it is a very simple open frame knife that is fitted with a fine-edge blade that lightweight, very easy to clean and simple to open. The knife itself is also very lightweight, with the frame design adding rigidity and strength to the overall knife, but the paraframe design takes away unnecessary weight, allowing you to easily carry it in your pocket, on a lanyard or just in your pack. As we stated in the beginning, a knife is an incredibly useful and versatile piece of gear that can find a place in your emergency kit at home, in your backpack, in your camping kit, or just in your pocket if you need one in your day-to-day life.